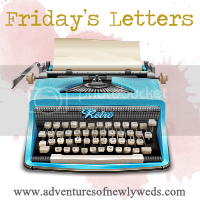 How cute your Friday Letters post is! It's hot here in Phoenix with triple digits so I know how you feel about air conditioning. I dread going outside this time of year. Oh and happy birthday one month in advance. The big 6-0; oh my. That will be my next birthday too but it won't come until next year. Btw, you do not look your age. You are beautiful! I always enjoy finding Christmas gifts during the year too. Wishing you an early Happy Birthday! In three short months my first year of being 60 will be over. This is the time to embrace the rest of our lives!!! Have a great weekend and happy 4th of July. Well, I will go into TJMax with a new focus now. I am so bad about waiting until just before we go north at the end of Nov. to put together Christmas presents. It doesn't allow for for a lot of spontaneity that way, but it sure does create a lot of frustration. Enjoyed your letters. 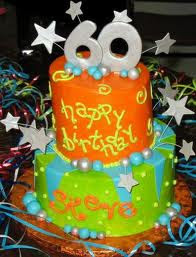 You turning 60 is to laugh in mother nature's face and say, "I showed you!". Those grand babies will keep you young for a long time. Welcome back! I cannot imagine the heat where you live. I love life in California. It never gets too hot! I hope your new computer comes soon. And good job resisting those handbags! I love to shop at TJMax. Have a beautiful weekend! yes... it is too hot in these southern parts. you go outside and about lose your very breath! hope you are staying cool inside. we are trying to! : ) congrats on a new computer! fun! i've missed you too. Hi CiCi! I agree whole-heartedly with the early fall request. It is my favorite time of year also (wink). It is so hot and miserable here. We are actually inside sitting on the couch, which is totally out of character for us. It does give allow for some blogging time tho. I have missed everyone in blogland! This is such a cute post! I really enjoyed reading this.